The Head of the EU mission in RF Vygaudas Ušackas believes that "Russia will return to Europe, ... but this road lies through Kyiv"
In an interview with the Russian Kommersant newspaper the EU Ambassador to Russia Vygaudas Ušackas said that the European Union does not link the introduction of peacekeepers to the Donbas with the gradual lifting of sanctions against Russia. 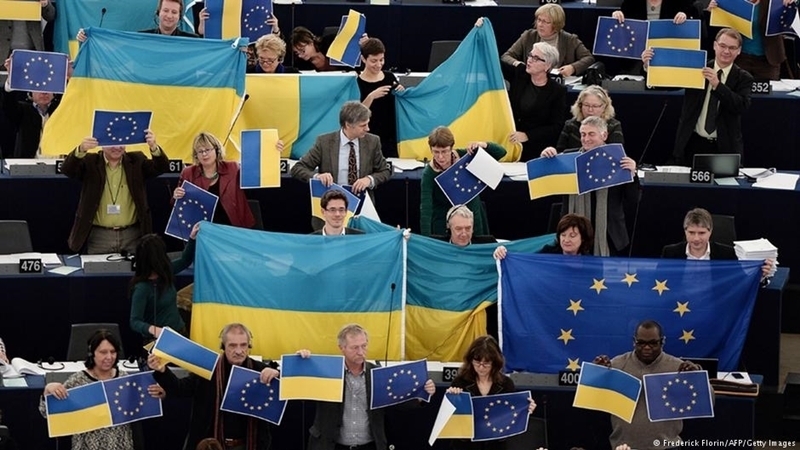 “Such a position the EU has no, but the desire to see progress in the normalization of the situation in the East of Ukraine is shared by all EU countries,” the diplomat explained. Ušackas went on saying that yet it is difficult to say how it would be achieved. "France and Germany, which are members of the Normandy Quartet, are of particular importance in evaluating proposals in regard to the Minsk agreements, as they are parties to this agreement". Earlier, Ukrainian President Petro Poroshenko said that Russia's participation in the peacekeeping mission in the Donbas is "absolutely impossible." Ušackas also believes that Ukraine should become part of the EU, and Russia, in turn, "will return to Europe, because Russians are Europeans. But this road lies through Kyiv. " “We all have to help stabilize and normalize Ukraine. I think that my experience can be a small, but concrete contribution to the prosperity of Ukraine as part of Europe. Perhaps even as part of the European Union in the future, which I personally much desire," he said.